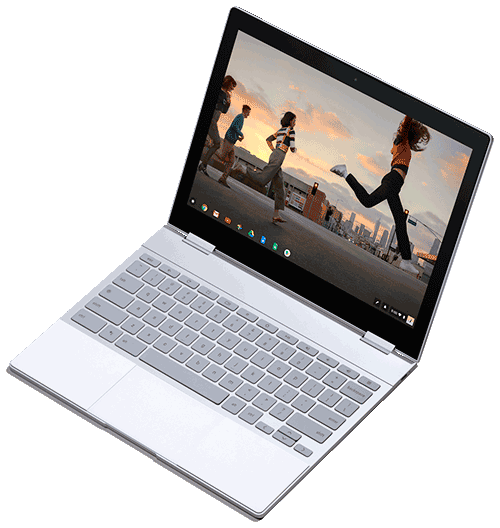 The Pixelbook 128GB model (Google Pixelbook (i5, 8 GB RAM, 128GB)) is a great device for people who love thin and light Chrome OS laptop. A lot of people are skeptical with Chrome Operating System (ChromeOS) and think Chromebooks are low performing devices. But that isn’t the case. I can assure you that Chromebooks including this Pixelbook 128GB model is faster than any mid-range laptops you have. A Pixelbook is a laptop form of Google Pixel smartphone. This laptop is a super thin device with 10.3 mm thickness and weighs barely 1kg. It has good looking aluminum body, with gorilla glass and silicone strip across its top-third of the laptop’s lid. Definitely an attention grabber, never saw this on the existing Chromebooks out there. Chromebooks win on many features, one of them, is the longer battery life. On this Pixelbook 128GB model, the promised battery life up to 10 hours is true for general use such as writing and printing documents, surfing websites as well as doing your computing tasks online. And will last even longer if you adjust your brightness of the screen, and many other settings. Pixelbook 128 GB model packs the 12.3″ touchscreen LCD display with QHD resolution. QHD stands for Quad High Definition, is a standard resolution for high-end displays on TVs, with 2,400×1,600 screen resolution and 3:2 aspect ratio. Now, this is an awesome screen, that will display huge range of pixels and details on your photos or videos. Additionally, you will love the 360° rotation ability. You can switch your device to a tablet, back and forth seamlessly with its hing at the back of the device. There are laptop, tablet, tent as well es an entertainment modes. 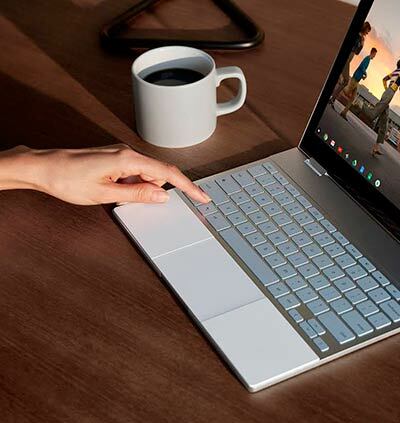 The Pixelbook features 3.3 GHz 7th generation of Intel Core i5 Kaby Lake processor, 8GB of RAM, and 128 GB SSD storage for fast computing works. Unreal. You can run Android apps, watching movies without pauses of slowdowns. Google Pixelbook (i5, 8 GB RAM, 128GB) is the first Google Assistant featured laptop. You will find smartphones with Google Assistant, but this device is the first laptop with this feature. The backlit illuminated keyboard has nice spacious keys, and packs some shortcut keys, including the “Assistant key” which is located on the left bottom, below the “Shift” key. When pressed, this button allow users typing their questions, and will get answers from Google accordingly. Alternatively, you can also say, “OK Google” and will wakes your laptop up to get your things done. You may be familiar with this feature if you have an android smartphone. There are also shortcut keys to take screenshots from your screen, an excellent addition. 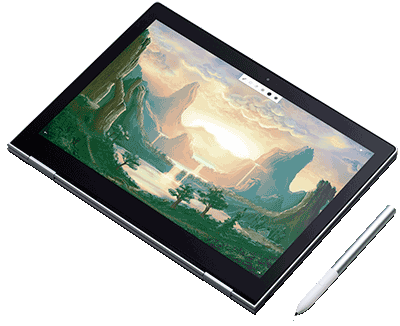 Lastly, the Pixelbook pen built with entirely aluminum, which is sold separately for $99 when we publish this, is pretty useful if you like to sketch and draw on your laptop. Overall, I wish this device was more affordable. It costs about $999! But you will get an high-end display, and gorgeous first laptop with built-in Google Assistant, as well as excellent specs. I believe it will blow away other Windows laptops. All images of Google Pixelbook (i5, 8 GB RAM, 128GB) are Google’s copyright.